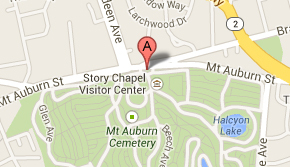 Roberto Mighty is America’s first cemetery Artist-in-Residence and the inaugural resident artist at Mount Auburn Cemetery, America’s first landscaped cemetery and a National Historic Landmark. 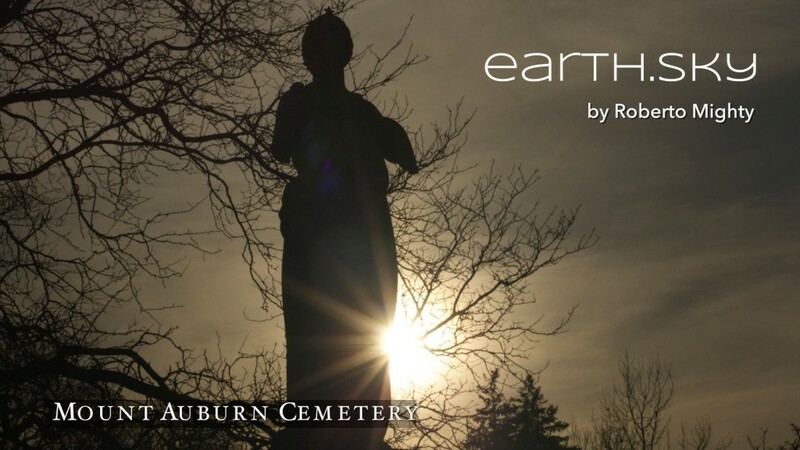 Inspired by and filmed at Mount Auburn, earth.sky is Roberto’s site-specific, immersive multimedia meditation on life, death, ritual, history, landscape, nature and culture. Recurring motifs in this work include the five elements of earth, air, fire, water and sky. Using historically based storytelling, cinematography, photography, audio recording, sound design, digital editing, music and mobile interactive, this online exhibit evokes American history and the contemporaneous life force of diverse individuals interred at Mount Auburn from its consecration in 1831 to the present. Click the image below to explore earth.sky—an audio/visual interpretation of a unique burial ground, arboretum, birding area and outdoor sculpture museum.